Just finished watching episode 1 of ‘Treme’ with a great group of friends. Most of us lived through that Fall of 2005 here in New Orleans. To the credit of the shows writers and producers, everyone agreed that they really got it right. Parts of it felt almost documentary and brought back some strong memories. Browsing my image archive from that time — I was actually looking for something completely unrelated — I came across this image from October 15th, 2005. 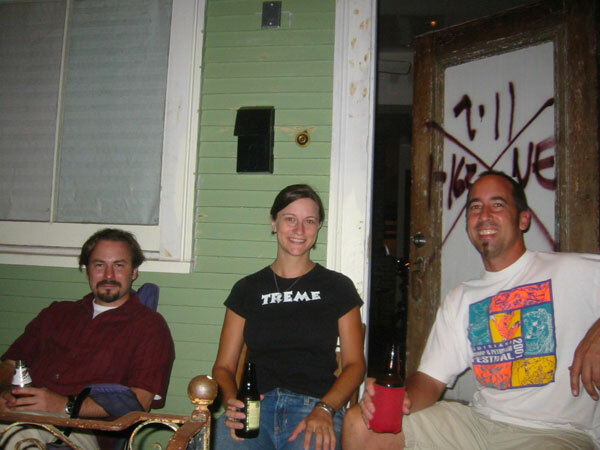 Of course, I love the fact that K is wearing her Treme T-shirt: the neighborhood, not the show.